The Holbeach Music & Beer Festival celebrates its 5th year in 2019 and we have quickly established ourselves as a well organised, respected and now one of the most popular community events in Lincolnshire. We have always tried to deliver the very best value for money and entertainment including sourcing the best live bands, stage, production, sound crew, beers, ales, ciders, food, funfair and activities. 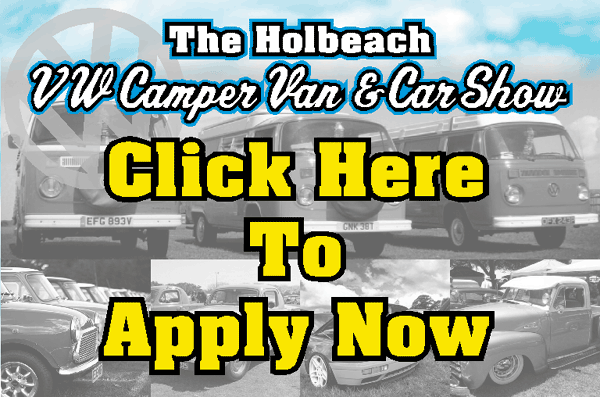 Our goal is to keep growing the event by appealing to a wider audience and this year we are proud to announce a brand NEW exciting attraction for all guests to enjoy by introducing ‘The Holbeach VW Camper Van & Car Show’ to the festival. 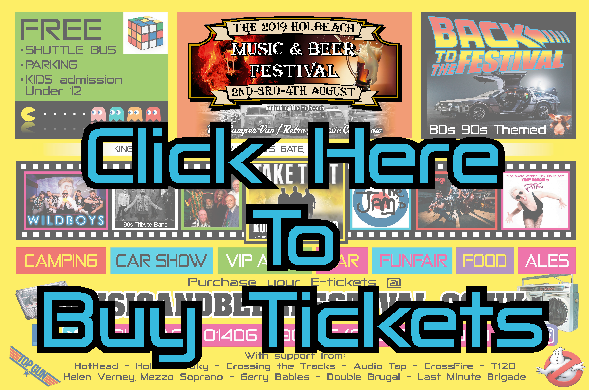 Thank you everyone for your continued support and after the success of last year we will continue ‘theming’ our festival and we encourage guests to dress up, let your hair down and have a fantastic time... so lets have some fun this year as we introduce The 80s / 90s themed Holbeach Music & Beer Festival. With great supporting acts and the best tribute bands in the country this will make 2019 our biggest live music investment line up ever !! This year we have a NEW bigger professional stage to showcase all performers and give you guys the best show, sound and lighting experience you rarely see at smaller festivals. We have all the ingredients with a proven formula for success which brings the whole community together for an enjoyable annual event not to be missed in Holbeach. The affordable family fun packed weekend will include supporting new music and encouraging the opportunity for local up and coming music acts to perform on our professional stage with lights, PA and sound crew. We hope to build the confidence of new bands by giving them the platform and priceless experience of supporting and performing before the festivals headline bands. Other attractions will include a great variety of food, ice cream, fairground rides, ‘The Holbeach VW Camper Van & Car Show’, inflatables, camping, VIP area with tables & chairs, professional festival bar complete with a selection of real ales, ciders, draught beers, spirits, wines, pimms, soft drinks and much more. Look forward to one of the biggest and best live music and beer festivals in Lincolnshire. ©2015 Copyright Holbeach Music and Beer Festival. All rights reserved.